You are at:Home»BUZZ»My favorite 2016 MacBook Pro accessory is a thumb drive?! My favorite accessory (so far) for my 2016 MacBook Pro is this thumb drive from SanDisk. Some background – at work I use a PC running Windows 10. For my personal use and for video editing I use a 2016 15″ MacBook Pro. 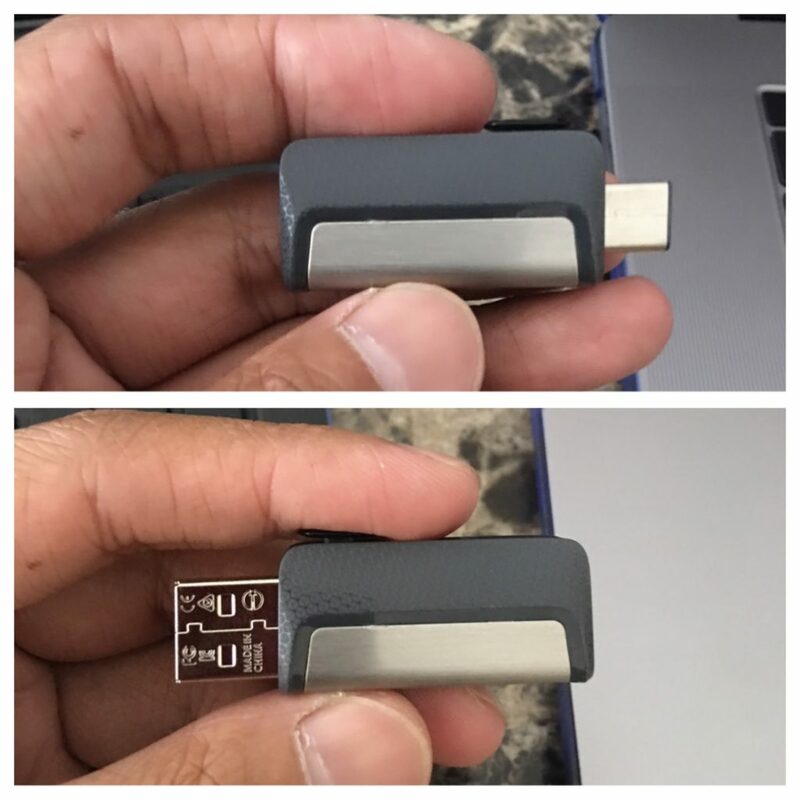 Before this SanDisk thumbdrive, I used a connector for my regular USB type thumb drive to move files, now I just have this one. 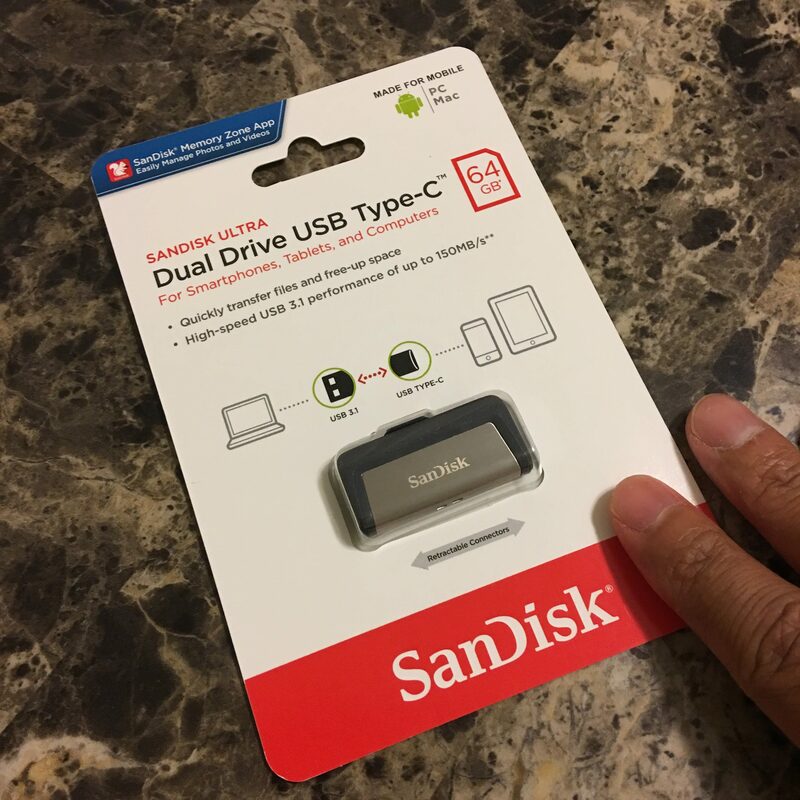 Here comes SanDisk Ultra Dual Drive USB Type-C thumb drive to the rescue. You can just slide the notch at the top of the device and on one end you have a USB-C – perfect for the new MacBook and MacBook Pro models, also works on smartphones and tablets with USB-C. On the other side, you have a full USB port, great for laptops/desktops with a regular USB type connector. If I could make any changes, I wish there was a slot for a microSD card or a regular SD card – but I have another accessory for that – RicoRich 3 in 1 Card Reader (which works on USB C, USB and microUSB). The SanDisk Ultra Dual Drive comes in different capacities: 16GB, 32GB, 64GB and 128GB, with the priciest option at $49.94. Do you move files often between different computers? What do you think? Tweet us @AsianGeekSquad! Check out SanDisk Ultra Dual Drive USB-C on Amazon!